Sterling House Painters have been painting this lovely house in Kew over the winter. A lot of preparation and scaffold has been needed, due to the hard to reach places. Because of the textured rendered exterior we used Weathershield Masonry Matt, instead of the normal Low Sheen. It gives a calmed down cool stone effect. Does exterior house painting in the winter cause the painters problems? Well, unfortunately it does, but only for the painters! As you know, Melbourne has at least 4 seasons in one day. 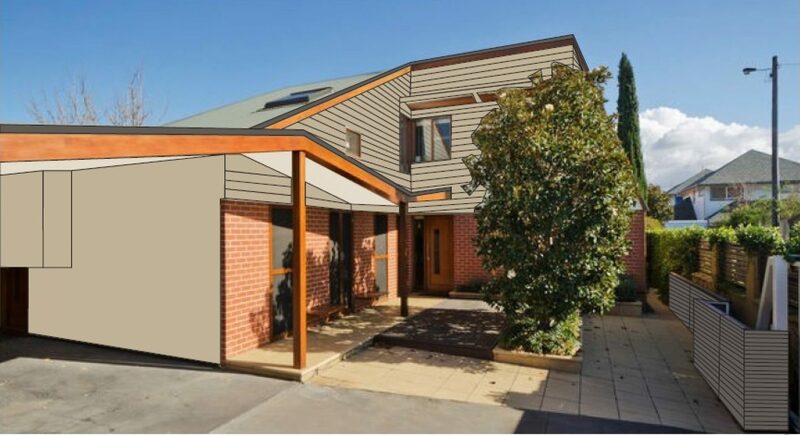 So just by weighing up the weather reports, our experience and seeing what it’s actually doing, we, Kew exterior house painters, can usualy paint. And because it’s cooler, it’s better to paint. Cooler means the paint get’s to dry naturally at an ambient temperature. The paint is easier to apply, and so we end up with a better finish.